The sinking of an ocean liner leaves a newly married woman battling for survival in this powerful debut novel. As the castaways battle the elements, and each other, Grace recollects the unorthodox way she and Henry met, and the new life of privilege she thought she'd found. Will she pay any price to keep it? Charlotte Rogan studied architecture at Princeton University and worked for a large construction firm before turning to fiction. 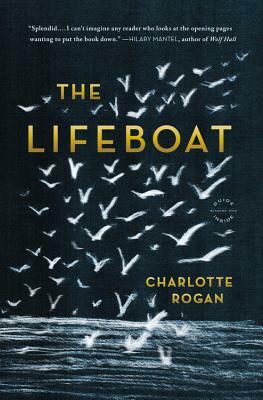 She is the author of The Lifeboat, which was nominated for the Guardian First Book Award and the International IMPAC Dublin Literary Award and which has been translated into twenty-six languages. After many years in Dallas and a year in Johannesburg, she now lives in Westport, Connecticut.